With the slow movement of innovation and true mobility in the energy industry, we began to take a tongue-in-cheek look at the explanations that highlight why we don’t need electronic access to our own, personal energy information. Although these top ten reasons are fairly common, there is a lot of controversy surrounding availability and easy access to energy information. As a result, we hope the market begins to focus on the proper exchange of information to further eliminate the continued stagnation of the energy industry’s technology evolution, while the world around us rapidly automates. Below, are the top 10 reasons why energy users feel they do not need access to their energy information. 1) I am Not Asking for it Anyways. In fact, most of us simply pay the bills as they come and have rarely thought to question why we pay the amounts we do every month. If having access to our telecommunications data in order to know exactly how much we’re being charged to upload selfies on Instagram is important to us, then shouldn’t we have automated access to the personal data related to our largest asset, our home? Not to mention, this data is also useful to help manage climate change and make a difference on our carbon footprint. It’s our data. And it could help us conserve energy and save money, let alone have a positive impact on the world. 2) There is a Privacy Issue That Needs to be Resolved Before the Data Can be Provided to the Customer. With every bit of personal information comes an endless array of privacy concerns. Today, we are able to access and instantly retrieve money from bank machines all over the world, giving technology the ability to acquire all of our important and personal information. Electronic banking access is used by more and more customers every day, reinforcing the idea of privacy and technology as a reliable combination. However, when dealing with energy information (which is not money), we are not there yet with managing privacy concerns. Yes, your energy information is your personal information. but understanding what to do with it is extremely important when it comes to managing your home or business. So why aren’t we looking at using technologies and standards already in existence to “leapfrog” us into the current century. The “privacy” excuse is really not valid when you see what other industries have done all around us. 3) There is a Security Issue That Needs to be Looked Into. Similar to privacy issues, security concerns are always a risk. But let’s not lose sight of the fact that our energy information on its own will never be capable of taking down the grid or risk our financial livelihood – our money can’t even be accessed through the use of this type of information. Utilities need to separate the need for security with the need to keep the lights on. The energy industry needs to embrace the learning curve and true opportunity with respect to the electronic age. Internet and mobile access are going to be here for a long time and only increase their presence over time. Look at Apple, Google and other major corporations. They use and depend on a world run by a network of data. They actually thrive on it, so why can’t utilities provide us with our data in a secure way? 4) We Need to Protect the Information from Criminals. If a criminal gets access to your energy usage or billing information, perhaps they could find trends within the information to the point of being able to assess your lifestyle, e.g. when you are not home. However, the likelihood of someone being able to complete this analysis and use the information accurately is very unlikely. First, much of this data is in different formats and via different systems, making it truly difficult to understand without the expertise. From Utility to Utility and energy system to energy system, information is not standardized and not even referenced in the same way once you get to the details. The fact is, most criminals are lazy and there are many easier ways for criminals to take advantage of us. For instance, they could try knocking on your door to see if you are home, or if they are really sophisticated track the smartphone itself because we always have it with us. In reality, most criminals are not sophisticated and the ones that are, I doubt would be spending time trying to understanding what the energy information really means. If I was a sophisticated criminal, I would look at information that is easier to analyse, rather than looking for trends in one’s energy data. Wouldn’t you? 5) The Utility Feels the Customer Doesn’t Need it. Energy is everywhere within our lives. Knowing the many different areas where we can conserve energy and/or easily manage our property is not only extremely important to us, but ultimately essential in the sustainability of our world. The Internet, global warming, and climate change all relate to our energy usage. This should force us to analyse this information in order to manage these issues effectively. Now is the time that we all need to be able to access our electronic energy data, so that we can better understand how to control its use. Open your eyes and look around. Energy touches everything. Why not use the information so we can have a truly smart energy eco-system? 6) We Need to Understand What Terrorists Could do. While this reason holds some truth, our energy information is the wrong data to focus on. No one is going to take down an economy because they got a hold of electronic billing or metering information. Utilities need to focus on their ability to protect us from catastrophic events, while leaving the access to our data up to us so we (and the market) can innovate and evolve on our own. 7) The Market is Just not Educated Enough to do Anything With it. The power of education allows us to understand things that have an overall impact on our lives or better yet, our world. The inhibition circulating the challenge to manage sustainability properly within our world is due to the lack of education surrounding energy knowledge and lack of innovation with it. By allowing energy users to learn, educate and apply their abilities, together we can create a more sustainable, greener world. It’s that simple logic that needs to be embraced by the energy sector. There are billions of humans in the world and most of us are not children. So don’t treat us like them. We are smarter than you think. Just give us a chance and we can help make positive change. 8) In Order to Get Access to my Information Electronically, I Need to Pay. To make this explanation easy to understand, we already pay for our energy. The industry facilitates that and gets paid by us to do this. There are Energy Providers that feel the user should pay for access to their own electronic energy data. If we are all required to pay for our own information, then maybe the market is broken. In every other industry that serves a customer, we have a right to review, use and dispute the information used to calculate our costs. We already pay regulatory costs for energy delivery. That shouldn’t give the Energy Provider to right to charge us for the information we need to properly manage and integrate our energy usage data with other things. We should have the right to manage it on our own and share it with whomever we chose; not be restricted by the provider, so they can share it with whomever they choose. Let’s remember, in contrast to our banking information, which we can see electronically at any point in time during the day or night, our energy data is difficult or even impossible to obtain. Not having easy access to our electronic information further disrupts our economy as well as limits the energy industry to advance into the Internet of Things. Energy use is a cornerstone to our economy and without it, our society would still be in the 18th century. Let’s embrace change and give us the information that we already pay for. 9) It is a Competitive Issue and We Have a Right to Protect our Business. Utilities are the custodians of our information, they should not think there is a competitive issue, as they generally work in a monopoly setting. However, in reality the concept of competition is entrenched in the sector with everyone viewing each other as some sort of competitor. Some Utilities also look at outside vendors that use the utility information, to be potential competition. Control of information is embedded in the general business framework of an Energy Supplier. The fact is that they don’t easily share information with each other, let alone with their consumers. In many cases, Energy Providers usually work with vendors that don’t share their customers’ information with other vendors. There is an overwhelming list of utility, government-funded “Smart Grid” pilots and production installations that lock in data, rather than provide capabilities to securely share it and create a true “SMART GRID”. Isn’t the Smart Grid money provided by our government? Shouldn’t there be a requirement to be “smart” about information access to our energy data? 10) The industry Doesn’t Need to Change. It Works Fine Now. By understanding the many issues growing in importance (global warming, carbon emissions, conservation, and implementation of green technologies) and the underlying fact that all of us should have the ability to manage our own property costs without interference, it is reasonable to assume the industry requires a drastic overhaul with regard to access to energy usage and billing information. The world is changing very quickly, creating a stronger need for sustainable initiatives. In order to be a part of this solution, we need to have access to our energy data electronically and work together to make a more sustainable planet. By doing this, we’ll have the capability to understand the important conservation issues and connect with innovative solutions throughout the world. 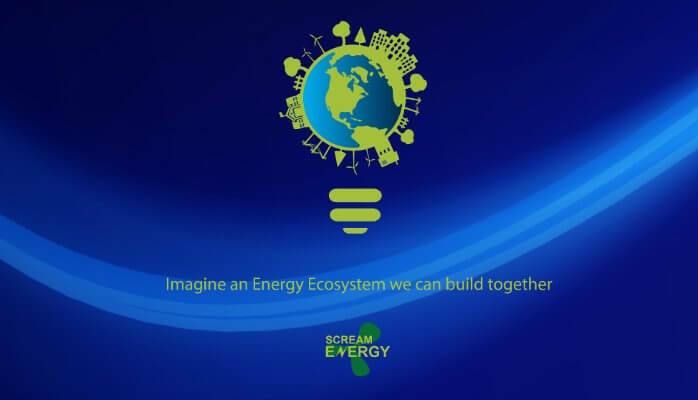 Giving everyone electronic access to their energy data, allows all of us to innovate and evolve on our own outside the rigid structure of the Energy Providers.